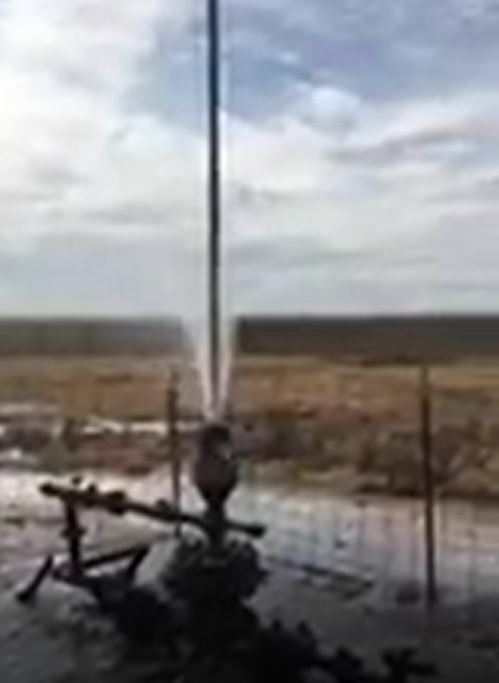 This is what it looks like when a vertical well is fracked into from a horizontal frac job. The well in this video is the Singer Oil Koetter 1-35. It’s located in 35- 17N-10W of Blaine County Oklahoma. Casing and tubing were shut in, and the pressure blew stuffing box rubbers out. Pride Energy was fracking their Red Land 1H & 2H wells from more than 600 feet away. The Corporation Commission was called to inspect the cleanup. They also filed a well impact form. This is fracing water coming out. 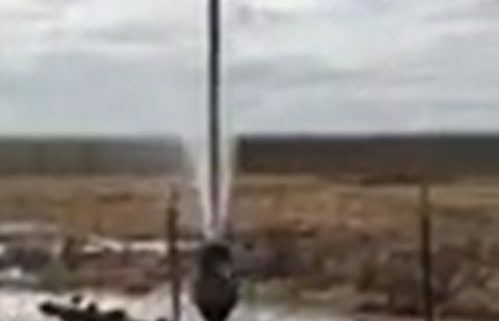 The well in this video was 660 feet away from the horizontal frac. The Corporation Commission has a rule that they have to stay 600 feet away, but they routinely wave that rule. Some horizontal frac jobs are within 50 feet of vertical wells. This is not good for the environment. This is not good for small operators. This violation of property rights and harm to the environment is not good for Oklahoma. When the long lateral bill was passed, Representative Weldon Watson said on the house floor that the damage in this video doesn’t happen. The big oil companies at that time said this doesn’t happen. It happens almost every day! In fact, we have access to data that shows 1,000 wells have been hit in Kingfisher Co. alone, and this well was in Blaine County. Oklahoma started off as outlaw territory. Our state has had an unfortunate history of lawlessness, bribery, and “wild-west behavior“. Unfortunately, this is where we are in the regulatory arena. It is not the Corporation Commission‘s fault; at least not entirely. They don’t have enough resources to count all the wells, much less regulate them. Big oil companies continue to have much more influence in Oklahoma than any other state. In other words, they get what they want. That is not good for the industry in the long run. The public eventually discovers the game and often times puts a drastic end to it. We need professional and honest regulation. That’s why we at the Oklahoma Energy Producers Alliance have filed a bill to allow the Corporation Commission to self-fund by assessing a small fee on oil and gas. This will allow them to hire the staff they need and free up 8million to go towards our Oklahoma budget problems.